Dr Nathan is a Board-Certified Family Physician and also a Founding Diplomate of the American Board of Integrative and Holistic Medicine. Dr Nathan’s practice evolved into “Complex Medical Problem Solving”, working with patients who had no clear diagnosis from conventional medicine and were suffering with persistent and debilitating illnesses. These included Fibromyalgia, Chronic Fatigue Syndrome, Chronic Lyme disease with its co-infections,Mold toxicity, Autism, and all varieties of Chronic Pain, amongst others. Dr Nathan has a special interest in mold and mycotoxins and is the author of several books. He currently practices at Redwood Valley Clinic in Northern California. 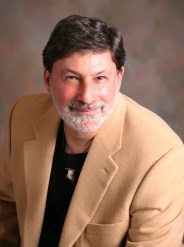 To learn more about Dr. Nathan’s work and to contact him, please see his website. Thank you to Dr. Nathan for taking the time to answer our questions.